Robert Proctor has invented and manufactures a “Thin Profile Suction Platen” which I haven’t tried, but it looks incredibly useful and is very reasonably priced. 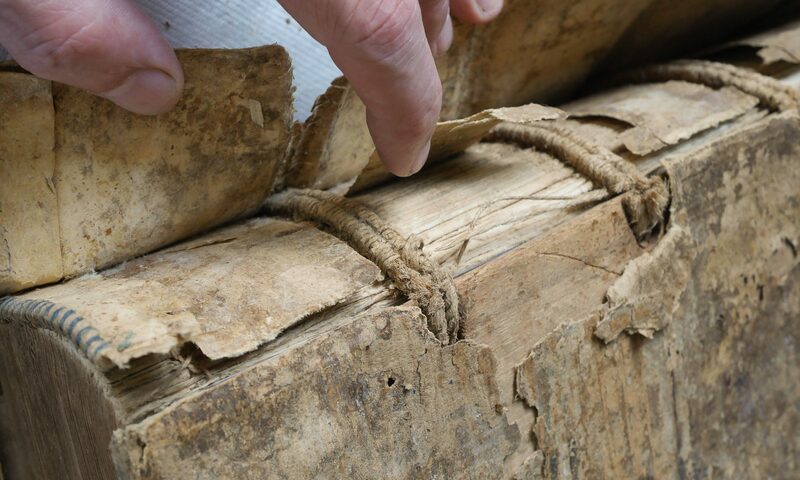 It is less than 1/6″ thick which would make it great for in situ textblock treatments close to the spine. Please contact him with questions. “About 12 years ago, dissatisfied with the suction platens available at the time, I decided to build one more to better fit my own needs. Encouraged by others who liked my design, I put together 20 platens, the majority of which I sold out of the trunk of my car at the 1997 AIC meeting in San Diego.Instructions for building this platen were published in the Sept 1997 WAAC Newsletter. This generated many phone calls from people asking “won’t you just make one for me?” Since I considered my time better spent restoring paintings rather than building and selling suction platens, I offered these plans to a manufacturer of conservation equipment, free of charge. While they do produce a platen and continue to market it using my name, much to my dissatisfaction, it differs considerably from my design. In the interim I made another run of 20 with an improved mounting device.